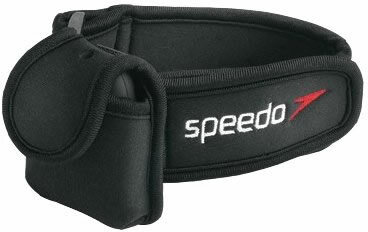 The Speedo Aquabeat waterproof MP3 player armband. Neoprene waterproof MP3 armband with velcro fastening. The armband has a protective pouch and an elasticated armband to securely hold your waterproof MP3 player whilst in and out of the water running, cycling and swimming. The armband is one size fits all and is machine washable.